Barlinek Engineered Flooring is one of the worlds leading manufacturers of layered wooden flooring. Barlinek attaches great importance to the technology applied in its manufacturing and the fact that its products are ecologically and environmentally neutral. 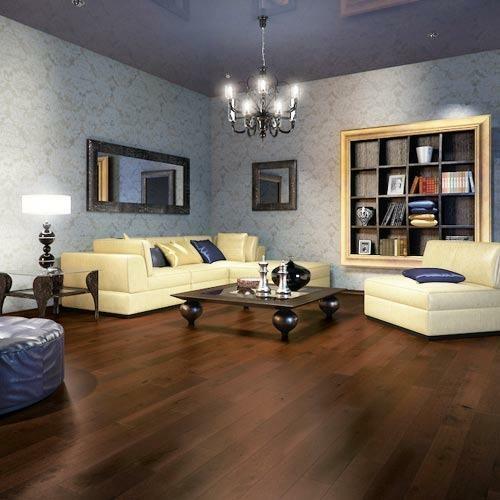 Its products are known for their extraordinary quality and extensive line of engineered flooring, offered in a wide variety of traditional as well as exotic hardwoods. 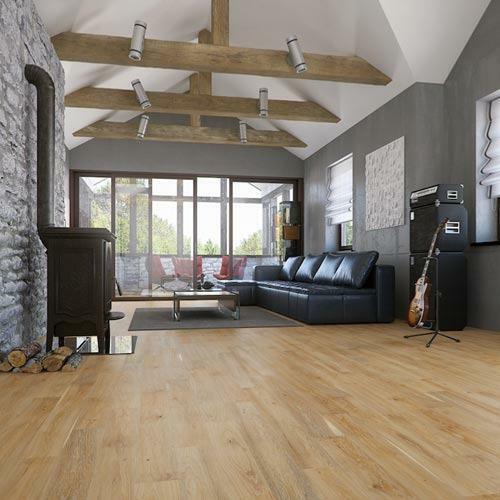 The Oak White Engineered Flooring is matt lacquered flooring with natural color and discernible surface texture. The original grain pattern has been brought out by brushing and further enhanced by the limed treatment done on top of it. This flooring provides great stability and lightens up the room setting especially with bright furniture and interiors. This flooring is available in two different floor board patterns – piccolo and grande, which come in width of 130mm and 180mm respectively. Constructed from multiple wood layers with a hardwood surface, the Oak Engineered Flooring is an advanced substitute to conventional hardwood floors. This floor comes with the most natural characteristics of oak wood, which is extensively demanded by our clients. Featuring a fast and easy click mechanism, this is a perfect floor for those looking to make the most of their available space. This floor is avaiable in beveled edges and comes with a perfectlly manicured stain finish and in a plank look. Other species available in the Barlinek range are Maple, Ash, Larch, Merbau, Walnut, Jatoba, Sucupira. Looking for “Barlinek Engineered Flooring”?